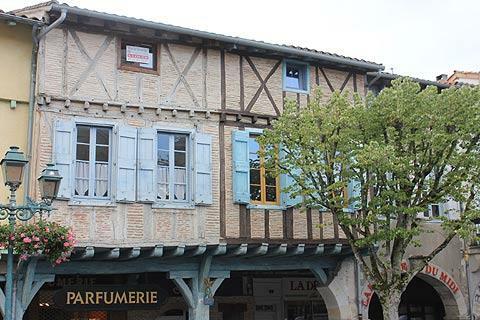 The town of Revel is a 14th century bastide town in the Haute-Garonne department of southern France, about 20 kilometres to the north of Castelnaudary. 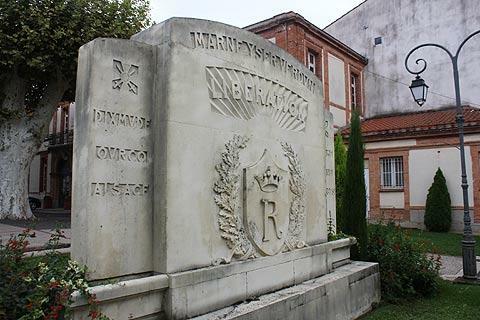 Revel is also a stop on the pilgrim route from Arles to Saint-Jacques-de-Compostelle in Spain. 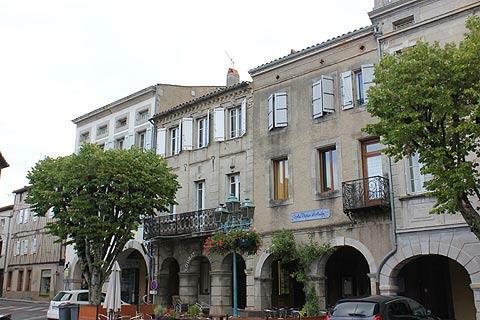 While the outskirts of Revel are perhaps rather uninspiring, be sure to venture into the town centre because it contains one of the most impressive medieval market halls to be found in France, home to the local Saturday market for more more than 600 years. 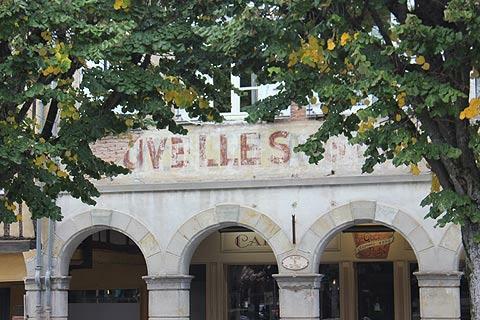 The central square in Revel has a good number of arcaded buildings around the edge, some of them now containing cafes. 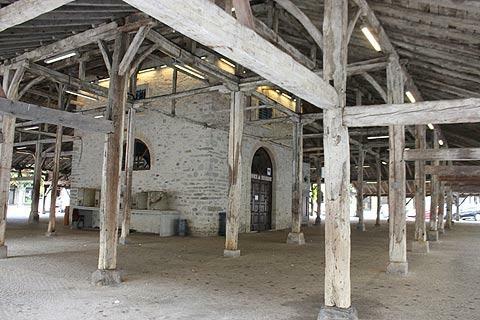 The very substantial market hall has a large amount of impressive carpentry work and some ancient measuring containers, and is built around a stone building that now houses Revel Tourist Office. This building extends above the roof of the market hall and has a large balcony area and then a decorative round clocktower. Bastide towns usually have these characteristics, and also a church very near the centre, so I was surprised that I couldn't at first see the church. In fact, in Revel the church is slightly outside the town centre. 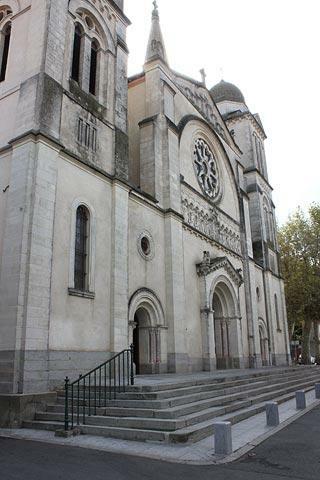 Although the current Church of Notre Dame was built in the neo-Roman style towards the end of the 19th century (to replace earlier versions, including major reconstructions in 1736 and 1830, each of which increased the size of the church) it has some interesting characteristics that make a visit worthwhile. 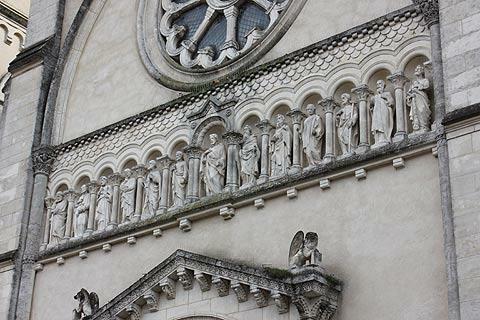 In particular the church facade includes inset statues of Christ and the 12 apostles, and statues representing the Saints Luke (a bull); Saint Mark (a lion); and further up Saint Matthew (an angel) and Saint John (an eagle).The choice of byzantine style domes for the top of the two main towers is noteworthy if rather incongruous with the overall design of the exterior, and a third, older tower can be seen towards the rear of the church. 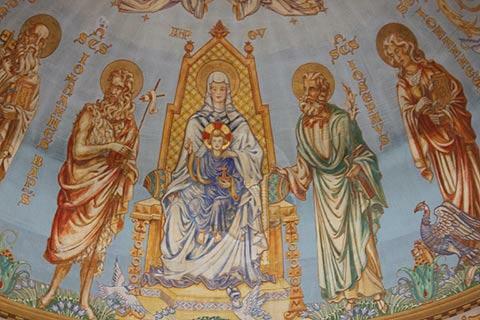 Inside the church the frescoes in the dome above the apse were added in 1957 and while clearly in a fairly recent style, are also interesting, and represent the saints either side of the virgin and child. Parts of the original town ramparts can also be seen towards the edges of Revel centre. 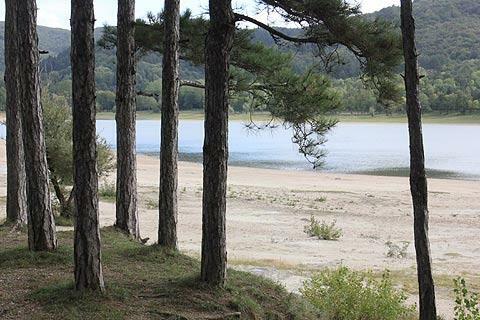 A few kilometres outside Revel the Saint-Férreol Lake is a very popular leisure destination, with lake beaches, swimming and boating activities and also several cafes in an attractive setting surrounded by trees. 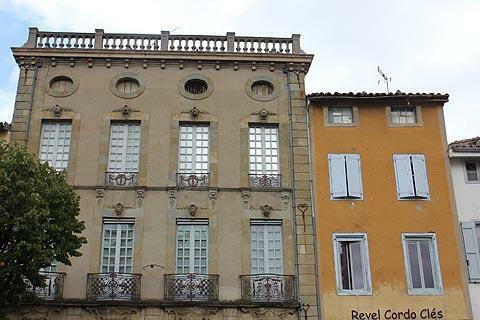 Revel is well placed to explore the numerous small villages in the surrounding countryside, with our favourites in the immediate vicinity including Sorèze, Saissac, the 'copper town' of Durfort and the castle and village at La Pomarède. There are also lots of small villages to the north-east, each of which may only have one or two individual sites of particular interest but taken as an ensemble they make for a very pleasant day or two exploring. Your tour might include Puéchoursy, Montgey, Nogaret, Saint Julia de Gras Capou, Montégut Lauragais; Roumens and Saint Félix-Lauragais and also, time permitting, Le Falga, Roumens, Poudis, Blan and Palleville, Arfons and Saint-Amancet among others...none of these are more than about 20 kilometres from Revel.